If you’ve used the Switch for very long, you know that occasionally it may take an unfortunate tumble. Even when you’re being extra careful, it has a tendency to fall of your lap, get kicked off a bench, etc. 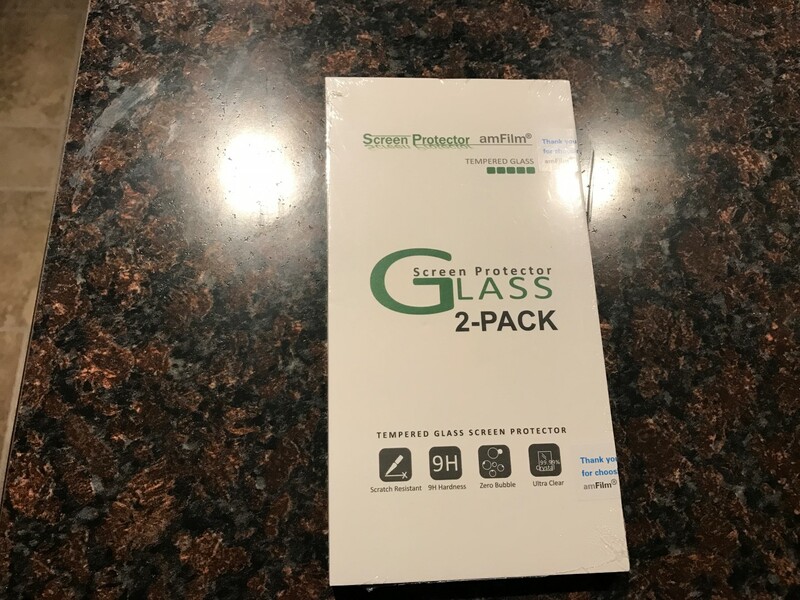 Originally I wasn’t planning on getting a screen protector, but after a couple close calls, I figured that the cheap price was worth the extra security. Also the Nintendo Switch Dock has been has been rumored to leave marks on the screen according to some forum posts, so this will also protect against that. I decided to go ahead and order the favorite and see how it performed. When it comes, it’s actually a 2-pack, so if the first one breaks you have a spare. It also comes with some cleaning supplies which is a nice bonus. After I cleaned off the screen, I went ahead and installed it. 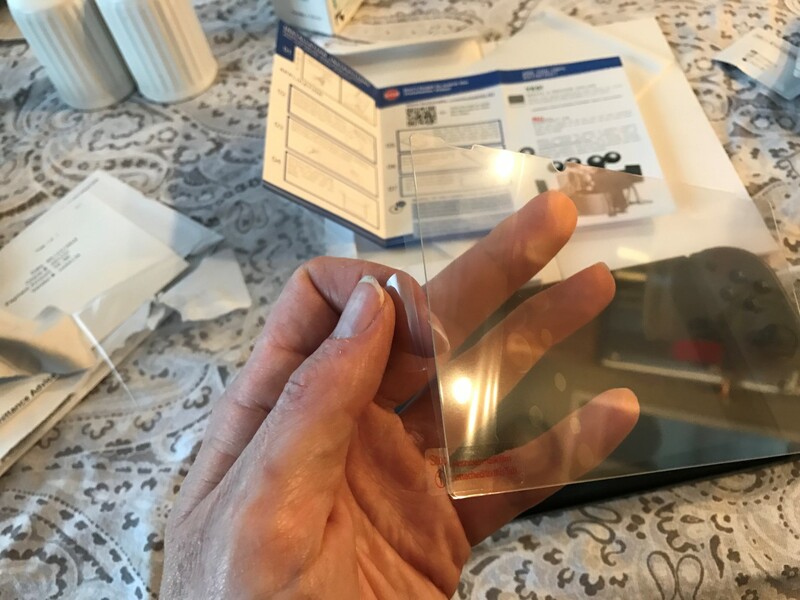 The screen comes with film on both sides to help eliminate fingerprints when installing. I actually put it on the wrong side to begin with, luckily since it didn’t stick it was easy to see I had screwed up. When I turned it around, it easily applied with remarkably no air bubbles. I was pretty certain I was going to have a bunch of those, but somehow I got lucky and the air bubbles stayed away. 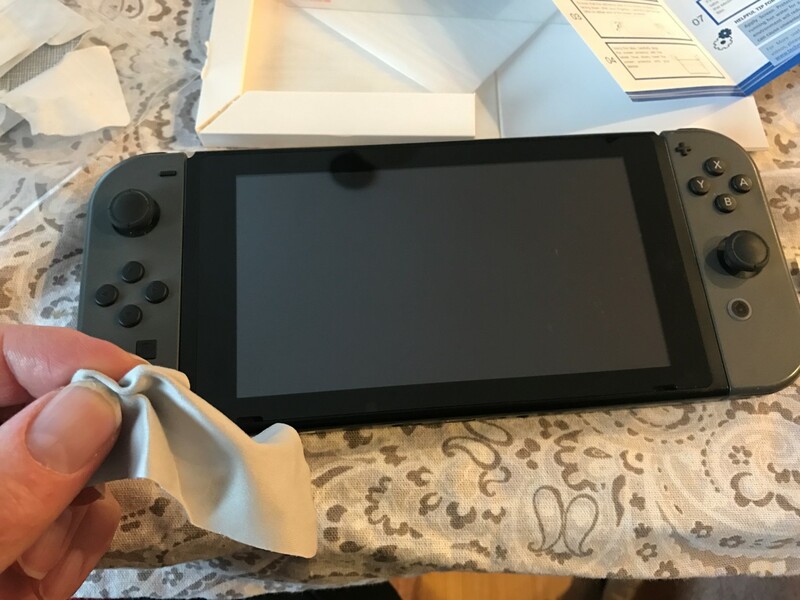 How does the switch play now? Honestly I like the touch of the screen better, it’s more glass like my phone than it was before. It does have a little more glare but since don’t really play in the sun it doesn’t really matter to me. Just something to keep in mind in case you play outside a lot. Hopefully this review will help you make a decision on a screen protector. Luckily they’re not very expensive so it’s pretty cheap insurance. 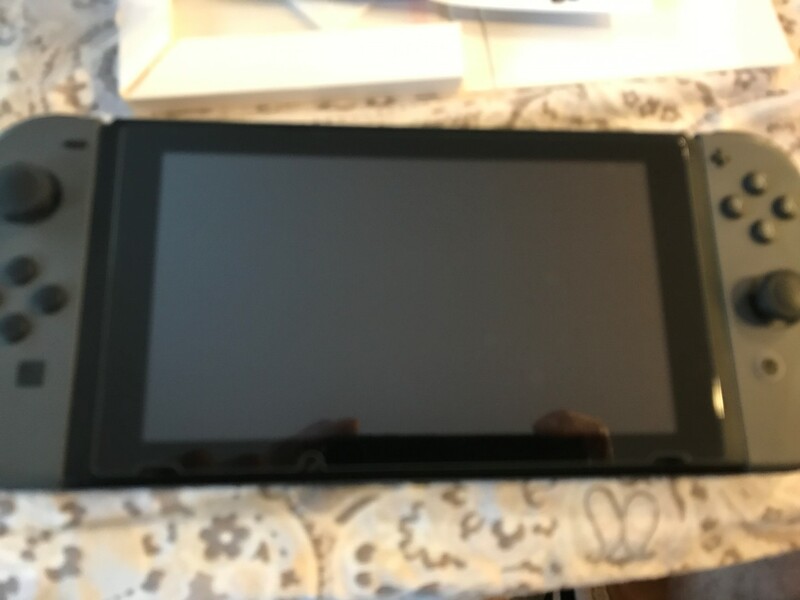 If you’re on the go and are having trouble hooking up to a hotspot, I put up a guide on How to hook up a Nintendo Switch to a hotspot article. I often use that plus my Switch Pro Controller when playing on the go.